Discover the amazing underwater world of Crete with our scuba diving programs for beginners and professionals! 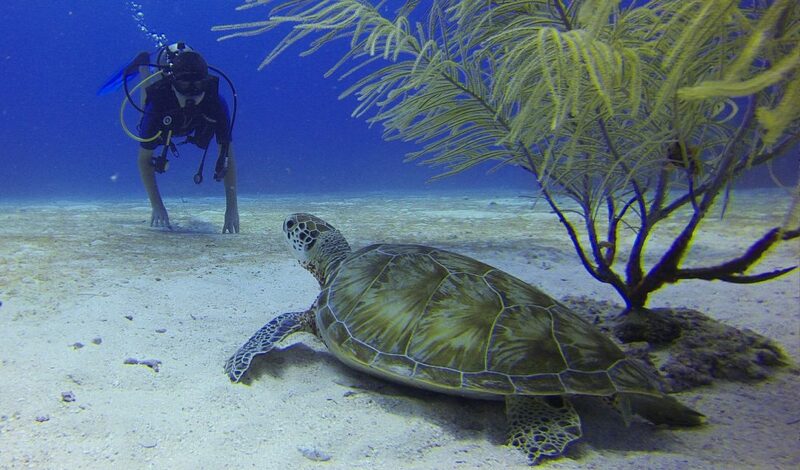 This program is the best way to discover the scuba diving. Does not matter if you have an experience or not. Our instructor will explain you the diving procedures and show how to use the equipment and after that you will have a chance to apply your knowledge in practice. You will make your first dive from the beach to a maximum depth of 6 meters. This program can be completed in 2 hours. Price: 69 € for 1 person and 65 € per person for the groups of 2 and more people. For those who want more we offer an extended program with the option of a second supervised dive from the boat to a maximum depth of 12 meters on the same day. The Discover Scuba Diving experience is a great way to get a head start on your PADI Scuba diver or Open Water Diver certification. That’s because the skills you complete during your adventure dive may credit to these certifications levels. We offer courses for all the levels from beginner to professional. 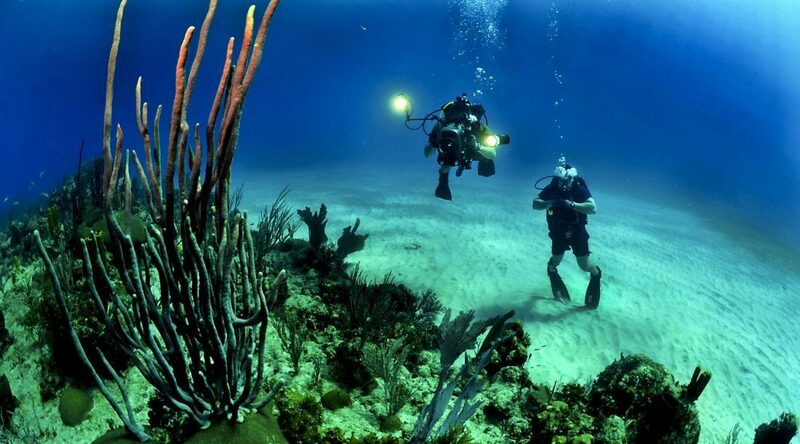 Earn an an internationally recognized Scuba Diving license. The theory portion of the course can also be done online through PADI eLearning. This course allows you to get certified quickly and easily because it’s a subprogram of the Open Water Diver course. With the Scuba Diver certification you can dive under the direct supervision of a PADI Divemaster, Assistant Instructor or Instructor. This Program is a wonderful opportunity to explore the underwater world with the comfort and safety of having an experienced guide with you at all times. Within one year you will easily have the chance to continue your diving-education in any PADI dive center and become an Open Water Diver. As a scuba diver all you will have to do are another two theory lessons,a pool session and two sea dives to fulfill the program needed for the open water diver certification. Any one ages 15 or over qualifies for the PADI Scuba Diver course. If you are between the ages 10 and 14, a PADI Junior Scuba Diver course is available. Price: 290 € for 1 person including the full equipment, certification card and a logbook. Throughout the course, you will learn fundamentals of scuba diving, including dive equipment and techniques. You will also earn a PADI Open Water Diver certification that is recognized worldwide. As a certified Open Water Diver you have the freedom to dive with a buddy independent of a professional. The warm and clear waters of Crete, the brand new equipment reserved for you and our long experience in scuba diving guarantee an enjoyable and exciting training period. This basic training is designed as an intensive (3 days) or regular (4 days) course. It involves theoretical sessions with video, pool sessions and 4 sea dives (2 dives per day). Open water learning options also include group or private instructions. This course offers tremendous flexibility and lets you work out individual needs with the Instructor. Price: 420 € per person including full equipment, certification card and logbook. Training lasts for 2 to 3 days and involves: One navigation dive, one deep dive as required dives and three more dives selected out of the following options: Boat dive, wreck dive, underwater-photo-dive, underwater-naturalist dive and peak performance buoyancy dive. All in all five dives are required to complete the course.The dives are conducted from our boat and from the beach. Minimum age for the Junior Advanced Open Water Diver certification is 12 years and for the Advanced Open Water Diver is 15 years. Have not been diving for a while? Take advantage of our Refresher program and review the skills yu learned in the PADI Open water diver course under controlled conditions before going out on the boat.